Unlike some of the others, I didn’t let this one sit around too long unfinished. I’m quite in love with this line, Carkai, by Carolyn Friedlander and really wanted to see this one as a finished quilt. 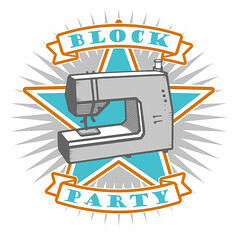 The backing is mostly this fun print in this great green, along with a little pieced strip of some of the other prints. 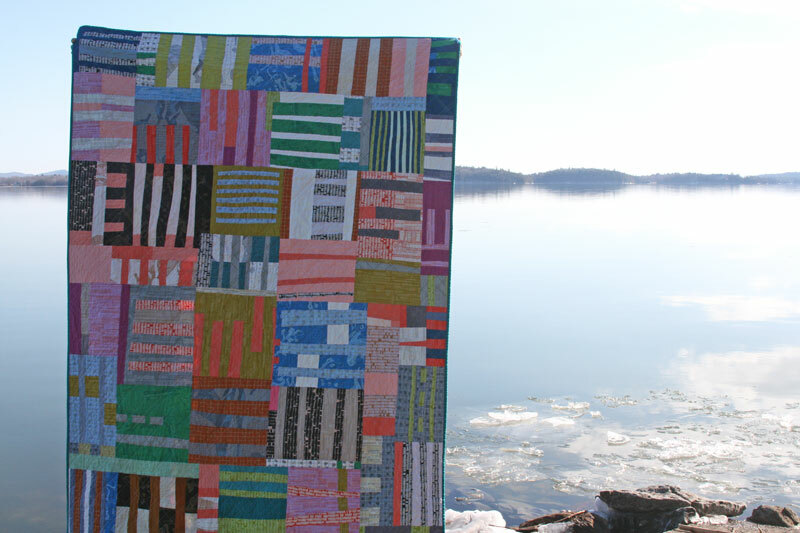 I decided to quilt this one with straight lines on the diagonal – I varied the widths of the straight lines in both directions and I love the resulting texture. A little solid binding to wrap it up and a quick wash to really show off that great texture! 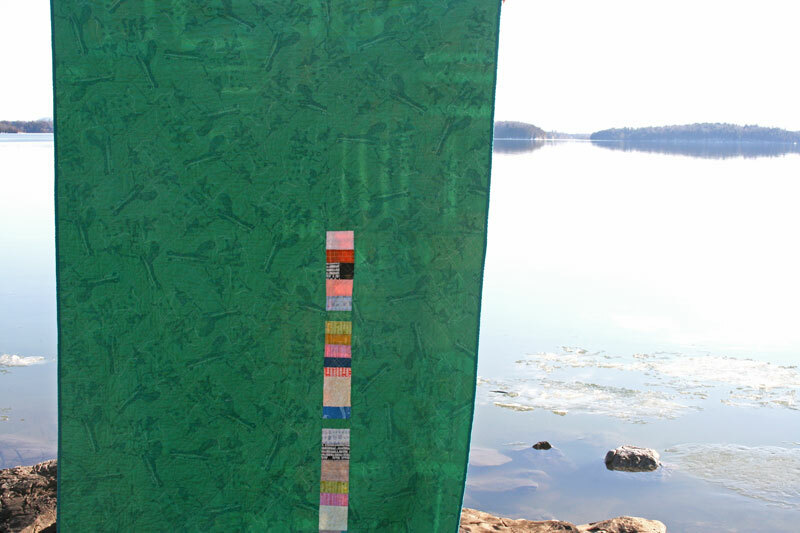 This one measures about 50″ x 75″. I think it’ll make for a spot of fun color in our living room! 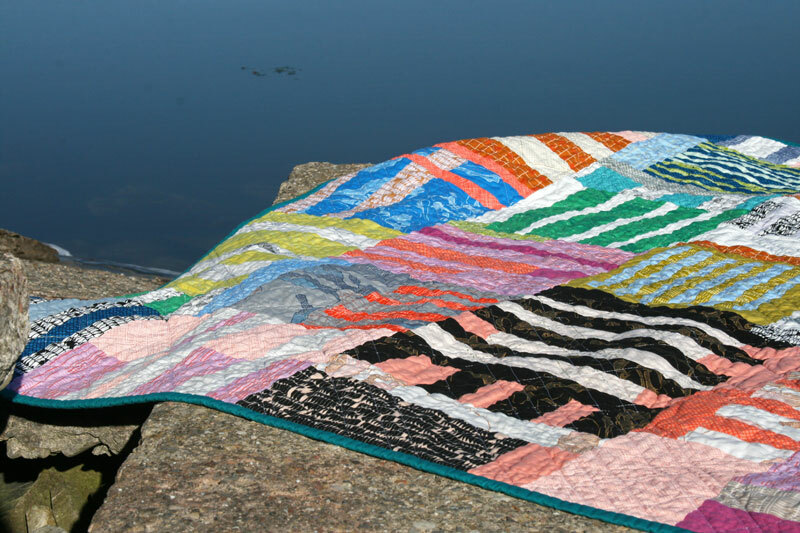 This entry was posted in [search] Liberated Quilts, Fabric, Finished Quilts, Posts about Quilts, Quilts and tagged carkai, carolyn friedlander, handmade, improv, mismatched stripes, quilt, robert kaufman, stripe quilt. Bookmark the permalink. improv solids – finally finished! so so stunning!!! Love it Ashley! 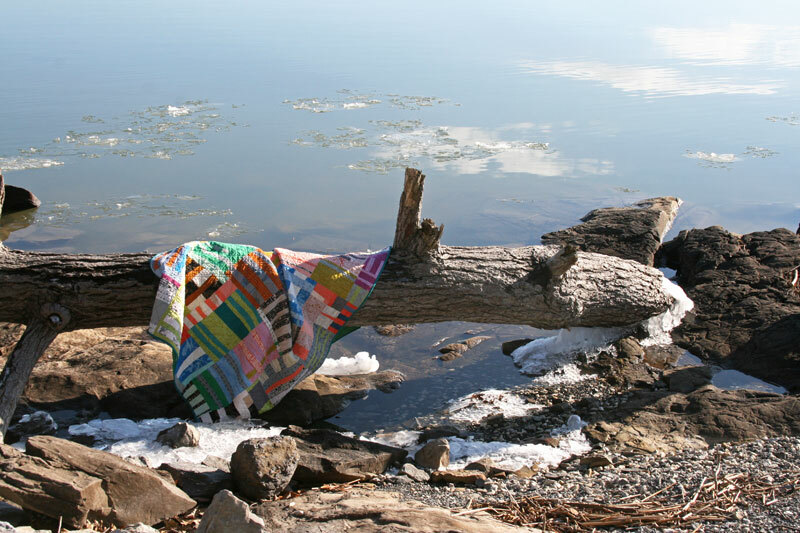 Great quilt & awesome photo shoot. 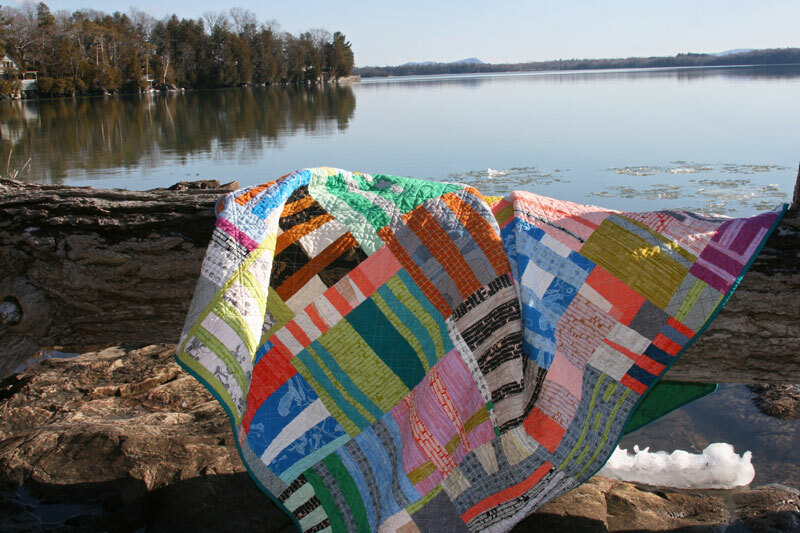 I love the wonkyness of this quilt–brava! Where do you live? 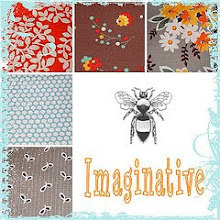 Your quilt photos have such fabulous backdrops. I love your crazy stripes! This is superb! Yet again you demonstrate the ultimate use of a fabric collection – can’t see any other quilt made with Carkai topping this beauty. This is truly quilting as modern art, you take the fabrics and use them like paint. 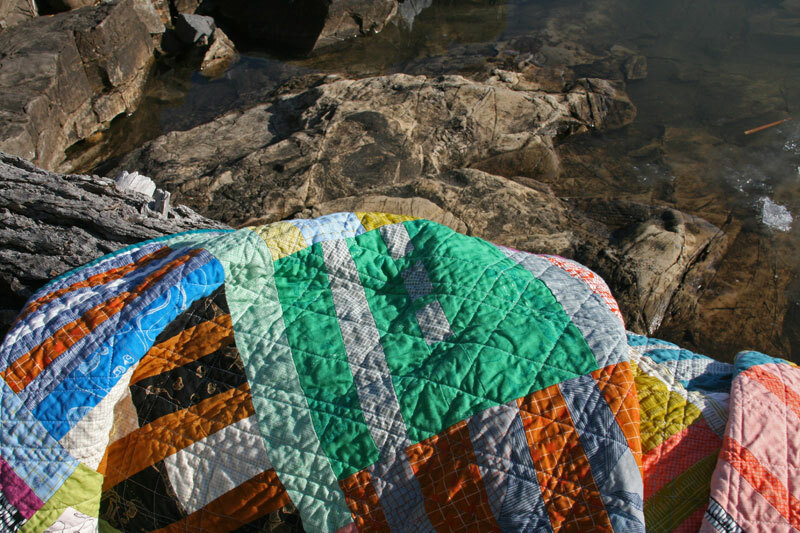 Oh I wish I could make quilts like you, Ashley! 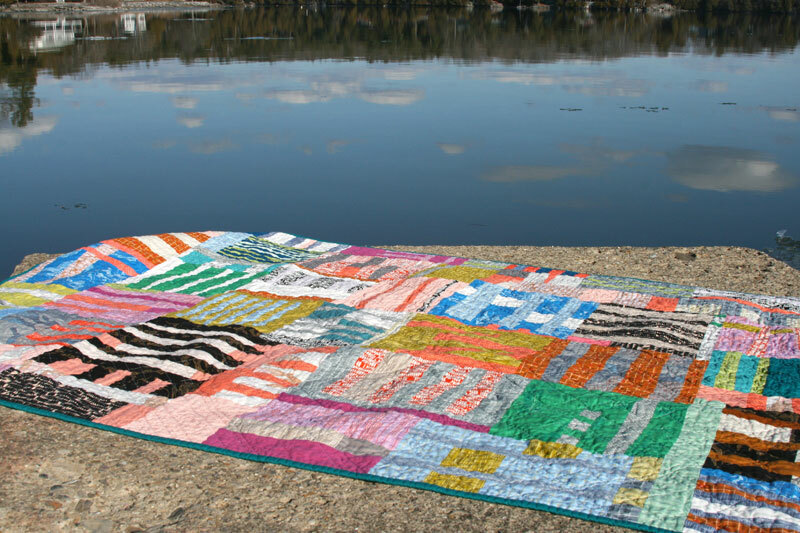 Fantastic and fun quilt! I absolutely love the back! 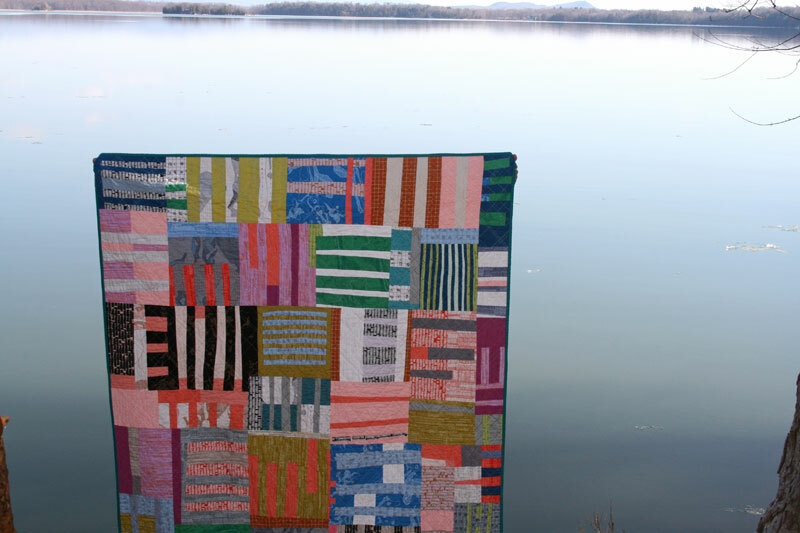 It is great when the back of the quilt is still integrated and related to the front but is another quilt in itself. I love your choices. Love it! Reminds me of some of the Gee’s Bend quilts.